Killer Characters: That wouldn’t be a werewolf, would it? That wouldn’t be a werewolf, would it? 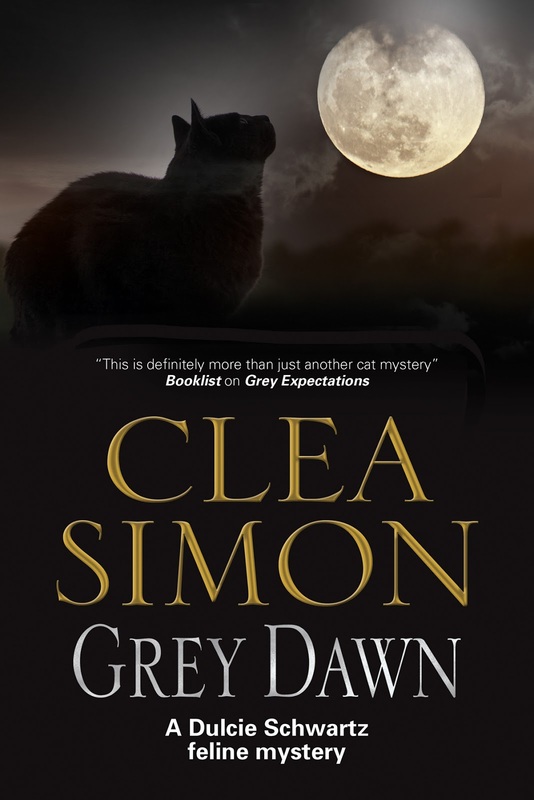 A chat with Dulcie Schwartz, from the Dulcie Schwartz feline mysteries by Clea Simon, the latest of which, Grey Dawn, is out now from Severn House. “Excuse me? Sorry, I didn’t see you there. Yes, please, have a seat. Just move those papers. I should be grading those anyway. They’re due by…. What day is it? Never mind, just put them on the floor. Of course, I knew you’d be dropping by. I meant to neaten up, but I was caught up in my reading. I’m Dulcie, Dulcie Schwartz, you see, and this is the book I’m writing my thesis on. Or, okay, I should be writing my thesis on. It’s called “The Ravages of Umbria,” and it was written around 1795. Yes, it is exciting. Thank you for saying that. A lot of my colleagues think that it’s a waste of time. Then again, a lot of scholars think that books like these, the first generation of Gothic novels, were silly. Probably because they were written by women – and were mainly read by women – and they are full of adventures and romances and ghosts and ghouls. And, well, recently, wolves. What? My own life? Quite the opposite, actually. I’m a grad student. So is my boyfriend, and so are most of my friends. Well, except for Mr. Grey, though I’m not sure how you’d define him. Mr. Grey? No, he doesn’t have a first name. You see, he’s a cat. Or, well, he was a cat. Now he’s, well, whatever he is. I guess you could call him a ghost, only that sounds kind of silly, too. Doesn’t it? At any rate, he’s my friend. He visits, and he talks. Yes, we have a cat, a real cat: Esmé. And, yes, she talks to me too, sometimes. Only please don’t tell anyone that. It’s bad enough that I’m writing about a Gothic novel. I don’t want everyone to think I’m living in one, too. He couldn’t be a werewolf, could he? What do you think? A note from Clea Simon: Welcome back, Killer Characters! Dulcie’s visit was delayed while you got back on your feet, but she’s been busy, too. 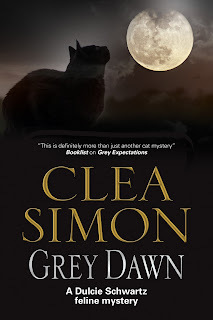 Her sixth outing, Grey Dawn, was published on June 1 and won a starred review from Publishers Weekly. I just turned in her seventh, which I hope will be published early next year. 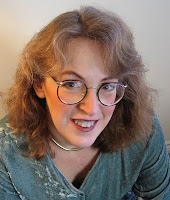 I also write the Pru Marlowe pet noir mysteries. You can read more at my home site, http://www.cleasimon.com. If you believe in ghosts, why not in werewolves? And as he has not bitten you yet, why should you be afraid? Ooooh! I love early gothic novels! Sounds like a panther not a werewolf. Esme will know the answer if you just ask. As a fan of werewolves, I'll hope that Chris is one! Another writer I must catch up with.